We started by distinguishing between sentences and sentence fragments. Then we moved on to capitalization. They had to highlight the letters that should be capitalized, and then rewrite the sentence the proper way. Then it was time to talk about punctuation. Periods, exclamation marks, question marks, quotation marks...oh my! We learned that sentences are MUCH more interesting when they include adjectives. 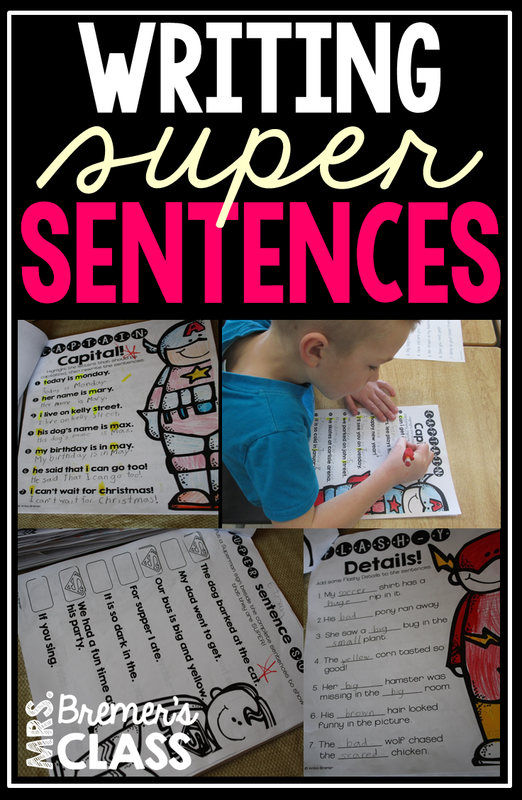 In this activity, students chose character cards and created sentences about them. Then it was time to choose an action card to add interesting verbs to the sentences. Students chose a page with a partial picture and had to add to the illustration. Then they wrote paragraphs about them! The checklist at the bottom of the page helped students double-check their work. 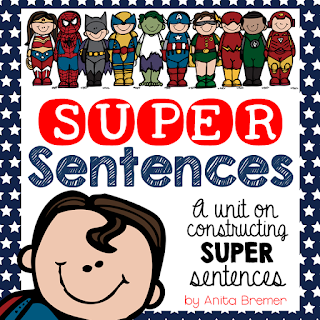 These little bitty character books were a fun activity to keep on practicing that sentence-writing! This little flip book helped students focus on the characters, verbs/action and setting in the story. When the pages flipped, it made silly sentences! 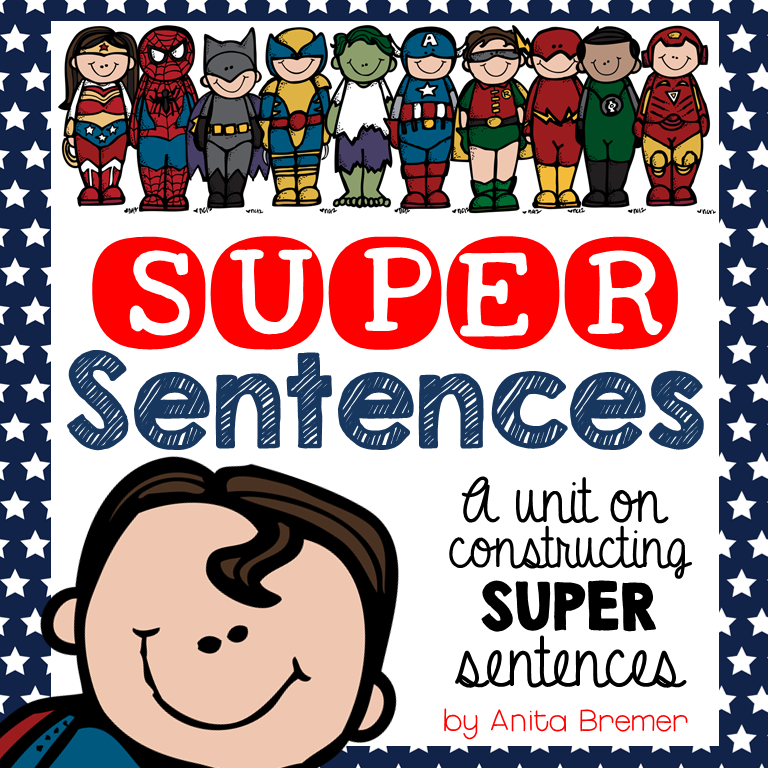 Does your class need some help with writing SUPER sentences?